One in four of us are affected by mental illness. A massive one in four people will be affected by mental illness at some point in their lives, but conditions such as schizophrenia, depression, OCD and bipolar disorder are still rarely spoken about: mental illness, for many, is still a taboo subject. A recent television ad campaign by Time To Change has gone some way to persuading people to end mental health discrimination, but there is always more that can be done. For me, as someone affected by both Generalised Anxiety Disorder and depression, any opportunity to raise awareness of mental illness in a positive way is definitely a good thing. The Depressed Cake Shop, open for one day only on Saturday, August 17th in the Bearpit, is an initiative that aims to get Bristolians talking about mental health: raising awareness of how common issues such as depression are, all while providing the people of Bristol with cakes and sweet treats and raising money for mental health charity Rethink. Depressed Cake Shops are opening all over the country this August to raise both awareness and funds – but they will be no ordinary cake sales. 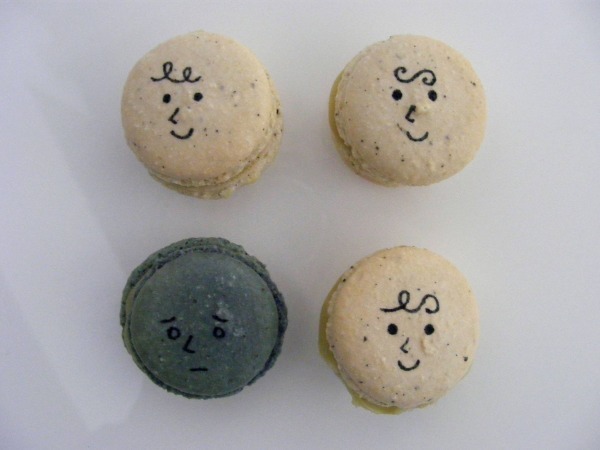 All macarons, muffins, cakes, biscuits and other sweet treats available on the day will be grey in colour – and often with a splash of colour inside to represent the lack of colour in the life of a person living with depression. All proceeds from the event will go to Rethink – a charity that helps millions of people who are affected by mental illness, offering advice, information, services and support groups, and regularly campaigning nationally for policy change. 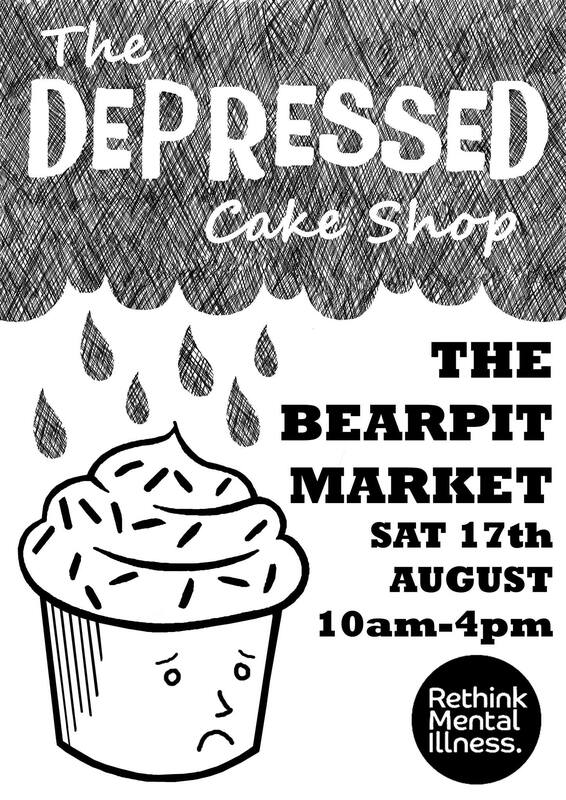 The Bristol Depressed Cake Shop event will be taking place in the Bearpit on Saturday, August 17th from 10am until 4pm – whether you want to help with the fundraising effort, are looking for more information about depression or simply fancy a sweet treat, head on over.